Though crooner Bing Crosby is remembered for many talents, his role in the classic 1954 holiday film White Christmas and yearly Christmas specials established him as a Yule-time icon. 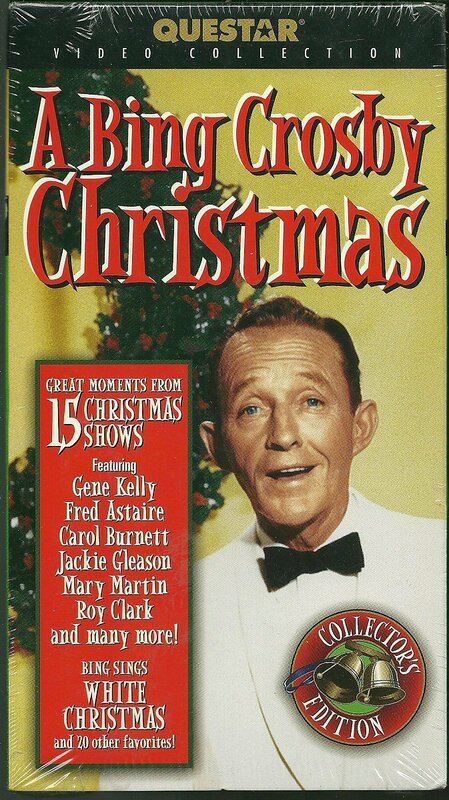 Bing Crosby Christmas: Great Moments from 15 Christmas Shows culled from his annual TV Specials from 1962 - 1977. Includes some of Crosbys most unique performances, including a duet with rocker David Bowie. Other musical guests include Bernadette Peters, Fred Astaire, Jackie Gleason, and Mary Martin. Songs include: White Christmas, Silent Night, Have Yourself A Merry Little Christmas plus 20 other favorites. CONDITION: Mint. This is a Factory Sealed VHS tape has never been played once. Comes with a color cardboard sleeve that's in good shape. (See scans above). SHIPPING: FREE in the US via USPS Media Mail. And please visit our store to see other great products from the Reader's Digest brand. Thanks!